Angeline C (iCompareLoan.com) 26th May 2017. In May, the HDB announced the launch of 8,748 flats, comprising 4,802 Build to Order (BTO) flats, the highest this year, as well as 3,946 Sale of Balance Flats (SBF). This brings the number of flats launched for sale in 1H2017 to 12,804 units. The next BTO launch will be in August, where HDB will offer about 3,850 flats in Bukit Batok and Sengkang. Assuming about 20,000 marriages a year, and the national average of 80% HDB and 20% private residential, ie 80% will apply to buy HDB flats and 20% to buy private residential housing, that works out to a 16,000 of demand for HDB flats and 4,000 for private residential housing. Excluding another BTO launch in 4Q2017 and demand from singles and second time HDB flat buyers, so far, it seems supply has matched demand quite well. 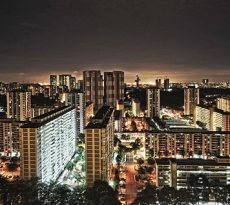 For Singaporeans, the first home is usually a HDB flat as it is heavily subsidized and offer good returns when it is on the resale market after 5 years. If you are aiming to buy a private property in singapore and would like to understand more, you will probably need to do more research. Check if you are eligible for the Deferred Down-payment Scheme (DDS), where flat owners aged 55 years and above who right-size to a 2-room flexi or 3-room uncompleted flat may defer the down payment on their new flat until key collection according to HDB. This will ease cash flow issues for the elderly who do not have to worry about making the down-payment for the flat upfront. Another scheme is the Temporary Loan Scheme (TLS) where flat buyers who are waiting for proceeds from the sale of their flat and do not take a home loan for their new flat can take up this loan. If you need a flat urgently, go for non-mature towns as you would have a higher chance of success as the number of units offered is higher and you may also be eligible for a grant such as the Special Housing Grant. 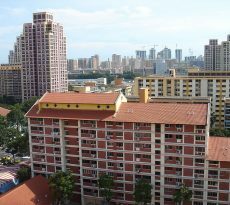 The SBF flats are located across 11 non-mature towns and 14 mature towns/estates while BTO flats are located in non-mature estates of Woodlands and Yishun and mature estates of Bidadari (Toa Payoh) and Geylang. Prices of flats in non-mature towns are also generally priced lower. For instance, the selling price (excluding grant) of a 3-room BTO flat in a non mature town starts from $145,000 and from $328,000 for that in a mature town. Applicants do not need to go to HDB Hub as they can apply online. The website has information on the flats, including number of applicants, details of flat and application process. Also note flat applications are not processed on a first come first served basis but shortlisted using a computer ballot. There will be a non-refundable administrative fee of S10 or $20 for those applying under the Multi-Generation Priority scheme. Applicants who are invited to book a flat will need to pay an option or booking fee of $500 for 2-room flexi flat, $1,000 for 3-room flat and $2,000 for 4-room or bigger flat. The results of the ballot is estimated to be released 1.5 months from close of application period. Read more about CPF grants such as Special Housing Grant. You will need to make a down-payment upon signing of agreement for lease, which is expected within 4 months of booking of flat. If you are taking up a HDB loan, you need to pay a 10% down payment in cash or CPF. If your loan is via a bank, you need to pay 20% down payment. 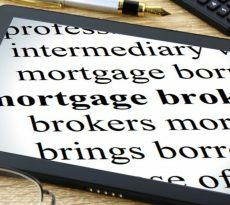 Contact a Mortgage Broker for advice on home loans. Fed Rate Hike – Should I refinance to Fixed Rate Home Loan? 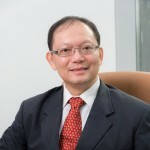 Does Heng’s claims that HDB flats retained value hold water?